The James Webb Space Telescope (JWST) isn’t even operational yet, and already its gleaming golden mirror has reached iconic status. It’s segmented mirror is reminiscent of an insect eye, and once that eye is unfolded at its eventual stationary location at L2, the JWST will give humanity its best view of the Universe yet. Now, NASA has unveiled the JWST’s mirrors in a clean room at the Goddard Space Flight Centre, giving us a great look at what the telescope will look like when it’s operational. The fact that the JWST will outperform its predecessor, the Hubble, is a well-known fact. After all, the Hubble is pretty long in the tooth now. But how exactly it will outperform the Hubble, and what the JWST’s mission objectives are, is less well-known. It’s worth it to take a look at the objectives of the JWST, again, and re-visit the enthusiasm that has surrounded this mission since its inception. infrared vision that acts like a time-machine, giving us a look at the first stars and galaxies to form in the Universe, over 13 billion years ago. a comparative study of the stately spiral and elliptical galaxies of our age with the faintest, earliest galaxies to form in the Universe. a probing gaze through clouds of dust, to watch stars and planets being born. a look at extrasolar planets, and their atmospheres, keeping an eye out for biomarkers. That is an impressive list, even in an age where people take technological and scientific progress for granted. But alongside these noble objectives, there will no doubt be some surprises. Guessing what those surprises might be is a bit of a fool’s errand, but this is the internet, so let’s dare to be foolish. We have an idea that abiogenesis on Earth happened fairly quickly, but we have nothing to compare it to. 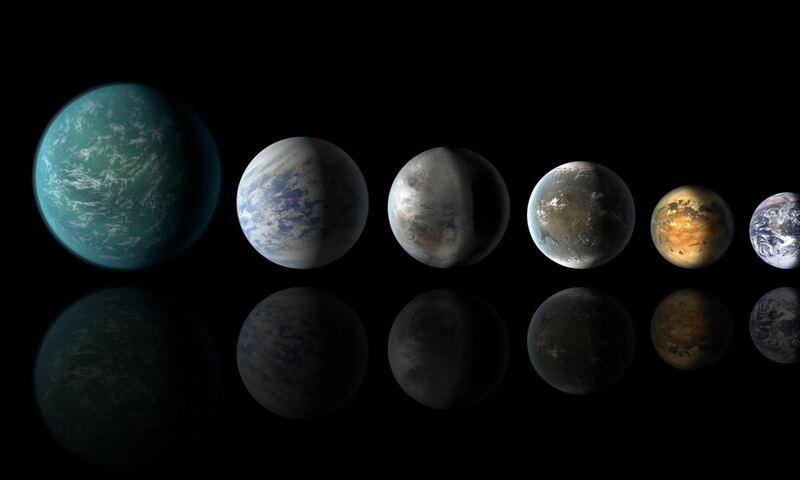 Will we learn enough about exoplanets and their atmospheres to shed some light on conditions needed for life to happen? It’s a stretch, but who knows? We have an understanding of the expansion of the Universe, and it’s backed up by pretty solid evidence. Will we learn something surprising about this? Or something that sheds some light on Dark Matter and Dark Energy, and their role in the early Universe? Or will there be surprising findings in the area of planetary and stellar formation? The capability to look deeply into dust clouds should certainly reveal things previously unseen, but only guessed at. Of course, not everything needs to be surprising to be exciting. Evidence that supports and fine tunes current theories is also intriguing. And the James Webb should deliver a boatload of evidence. There’s no question that the JWST will outdo the Hubble in the science department. But for a generation or two of people, the Hubble will always have a special place. It drew many of us in, with its breathtaking pictures of nebulae and other objects, its famous Deep Field study, and, of course, its science. It was probably the first telescope to gain celebrity status. The James Webb will probably never gain the social status that the Hubble gained. It’s kind of like the Beatles, there can only be one ‘first of its kind.’ But the JWST will be much more powerful, and will reveal to us a lot that has been hidden. The JWST will be a grand technological accomplishment, if all goes well and it makes it to L2 and is fully functional. Its ability to look deeply into dust clouds, and to look back in time, to the early days of the Universe, make it a potent scientific tool. And if engineering can figure out a way to reverse the polarity in the warp core without it going crit, we should be able to fire a beam of tachyon anti-matter neutrinos and de-cloak a Romulan Warbird at a distance of 3 AUs. Not bad for something Congress threatened to cancel! JWST is a great idea, but it is all the eggs in one basket. Ariane 5 should work, but if JWST does not unfold exactly as planned, this could be a VERY expensive failure, which is very late in coming. I really hope everyone got it right and that everything works. We have a long list of missions that were lucky to work: Hubble, Cassini/Huygens, SOHO, Galileo to name a few. Big mistakes with MCO and MPL and ASTRO-H. So I am keeping my fingers crossed. That is a really great point and my fear and reservation about the JWST. Just think back to Hubble. If something goes wrong with JWST, can we fix it remotely or would this usher in a mission to get people out that far to save it? I hope it goes flawlessly and blows our minds more than all the other missions, combined. But I can’t help but have that twinge of worry. So looking forward to it, though. It is a beautiful sight to behold and the possibilities it presents are breathtaking. Fantastic machine. It just can’t tell us what is really happening now. We really only know that the universe was expanding when that light left the objects. I do have one question you might be able to help me with however: Is JW – with all the talk of topping Hubble – capable of delivering what us non-scientists would call “normal images”? As in, I understand from your article that it has significant light gathering ability in the infrared, but does this mean that the “normal/optical” images which captivated a generation of 30 year olds like me from Hubble, will not be topped by JWST? Forgive me, I’m no scientist, nor photographer. I just know that I don’t see in infrared :-). It’s worth noting that I DO understand how such “regular” images can, at this point, be of little – or at least less – value to science since only infrared can see through the “dust” which obscures our view. History has proven that one of the most effective – if not THE most effective – ways to accomplish this is by publishing absurdly mind-blowing images of our universe. Images which neither the 50 year old mold-maker reading his newspaper, or the 20 year old webmaster checking his facebook – both wondering “what the hell does NASA even do anymore” – can look at without absolute wonderment. This is why I always believe that – WHEN FEASIBLY POSSIBLE (in caps because I understand it isn’t always) – NASA should have a regular old “optical” so to speak, camera on all their spacecraft which visit interesting places (See: the Venus mission currently in planning). By the way, you needn’t include in your response how awesome the phrase “feasibly possible” is. I’m already acutely aware of my staggering brilliance. Next PostNext Who Discovered Gravity?